My experience with lawns is more of a love/relationship if anything. I used to love running around my front and backyard with bare feet and not having a care in the world about the make-up and maintenance of the lawn. But as I grew older, to the point where I had to cut the grass myself and take care of it, I grew to hate it. And now, for the past two years I worked on the golf course, cutting grass all day everyday, just making me absolutely hate grass. But I love looking at the finished job and see how beautiful it really can be. It really is a confusing relationship but I love the art of landscaping and making your lawn look beautiful, but there is so much work behind it, and it makes you think is it really worth all this hard work. All in all, I believe when I am an old grouchy man I will be the one guy where he takes care of his lawn and prides himself on it. My neighbor, Craig, back home in a suburb just north of Chicago is by full sense of the term a lawn person. He has a very dense front and back yard garden with a beautifully manicured lawn. I have seen him spend literally hours out in his yard maintaining it. This behavior has led to the formation of somewhat a gap between the two houses. My mom and I often speculate on the psychology behind his undying love for his yard. We often attribute it to the fact that the couple never had any children, thus treating his lawn/garden as his child. Supplemental to his own gardening he hires a landscaping company to come weekly to do even more upkeep. The amount of money he and wife must spend on their yard seems unfathomable to my family, who still mows the old fashion way, sans the help of a crew of workers. Another thing I found interesting is that I have never seen his wife out tending to it, only Craig. But what I find most interesting is how little time he spends out in his garden just lounging or even laying on his lawn. In the back of their house they have an enclosed porch which I guess does it for them in terms of appreciating their lawn. To me a lawn is something to play, lay, or walk bar foot on; not something to close your self off from. Growing up I would often play around their back yard, pretending I was exploring a jungle. This was often met with either Craig his wife shoo-ing me back home followed promptly by a call to my parents. I just find it amazing that a person can put so much time and money into something that really is beautiful and yet feel it must only be observed from a distance, never reaching out to touch it. Recently they sold their house and are moving to Vermont. I will be very interested to see how my new neighbors treat their lawn. As an ironic aside, the neighbors on the other side of my house has their small back lawn removed because they thought it was too much hassle. Is it odd that these neighbors act much more neighborly and have a much stronger relationship with my family? Are lawn people just crazy, or is it just me? Not only are lawns an American thing, I think that people in the old south take extra pride in their lawns, despite the fact that the majority of the owners do very little of the actual maintenance work. 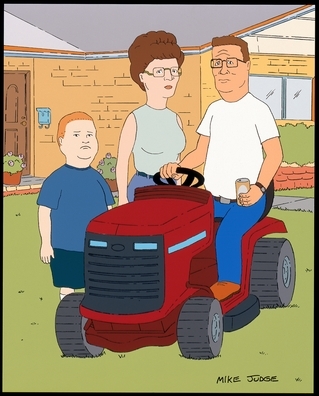 My family has always had a lawnmower guy come to our house like once a week or so to cut the grass. We have been using the same guy since I can remember and in this time the lawn care business has gone from a job for people who did not go to college into being almost all large companies who employ undocumented workers and pay them less than minimum wage. These companies are able to give the best prices because of these wages that they pay their workers and they have put a lot of small companies out of business. As for lawns on their own I do think that a nicely mowed lawn with some landscaping really does improve the looks of a house a whole lot. A nice green lawn is something that a man should be able to take pride in, even if you dont do the work yourself. Another example of drama over lawns from home comes from the person who owns the empty lot next to ours. My parents live on the dead end of a street in the suburbs of Nashville and the lot next to us has not been built on yet. The owner, who lives in Atlanta, is treating it as an investment and will try and sell the lot when the market improves. So needless to say he is not very interested in the shape of the lawn, to the consternation of my father. It does get pretty crazy after a while, there are trees of weeds that are taller than I am in the spring and looks like a perfect home for snakes. This really pisses my Dad off and he calls city codes on him when it gets really bad. I actually think it is pretty cool how things grow when they are left alone and I kind of like having a jungle of weeds in the lot next door lot, it makes things more tropical looking. I like clean lawns but I do not think that I will spend much time on my own lawn whenever I get one, just not my style. I had never before considered the depth and complexity of the lawn care industry. Although very fascinating, the logistics of the issue sometimes fly over my head. Meaning the interconnectivity of the suppliers and the consumers are so complex, it was hard for me to understand exactly who is controlling the market. I came to realize it is a little bit of both and much more. The book attempts to untangle the economic and political history of the American Lawn, which to me seems like an industry spinning out of control. Neither the consumers nor the producers seem to be in or out-of-control. The long economic chain of assembly and production seems to muffle any logical thought or communication. This is something I find inherently scary about our aggressively capitalist economy. In other words the economic machine behind the lawn care industry seems to be driven by itself, which is a concept I was not able to fully understand through this book. Overall, Paul Robbins challenges the apolitical ecology approach in analyzing environmental issues. The approach he challenges takes on the assumption that decisions and behaviors are free from power, coercion, exploitation and suggestion. The theory focuses on free individual choices, seeing culture as a driving role in understanding group behavior, economic activities as meeting consumer demand, and thinks of human action as independent to the influence of non-human actors, objects, and animals. In response to this commonly accepted notion that seems so central to Americana and freedom, Robbins offers a political ecologic approach. This alternative way of thinking accepts that humans’ interactions with the environment are often laden with power, which undermine the notions of choice, freedom, culture and the fragile independence of the world around us. I found it interesting how the American Lawn became associated with the desirable urban citizen. It really is amazing how much we judge people based on the appearance of their front lawn. Not surprisingly this narrowly defined American Lawn aesthetic is impossibly attained without the input of capital and labor. These chemicals are not inert and are indisputably unsafe on some level to humans, wildlife and ecosystems as a whole. Oddly, as consciousness surrounding the detriments of lawn care products has increased, so has the use of these products. The industry that produces these products, in an aggressive industrialized world, has been forced to maintain their level of economic gain by passing more and costs onto consumers. Through marketing, the lawn was turned into an obligation to community and family oriented collective good. This sense of responsibility around lawn care was created by an aesthetic designed long ago, as well as social pressures of maintaining property value. If a solution is ever going to be attained, it will lie not at the level of individual choice (which is popularly ingrained in American ideology) but rather government regulation on the level of the powerful normative institutions, who use their own power to influence public policy and opinion. It is ironic that a country clinging to the notion of a “free-market” is in reality a servant not of the government but of large-scale business firms, which ultimately have more power that government in creating public policy. It is interesting how lawns are considered a commodity, yet their upkeep is a necessity. 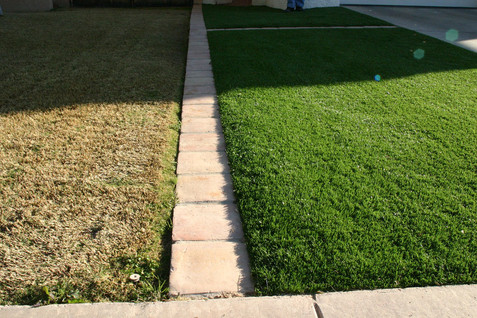 The lawn is a great example of many other environmental issues taken for granted. It is intriguing how central a lawn is to our identity, that we see objects around us as visual outcrops of ourselves. Structuring these objects both show our ability to effectively mold our surroundings, yet the anxiety and care associated with these manipulations indicates our lack of control at the same time. I like how Robbins phrases the human-nature relationship. He suggests the “world is both freeing and frightening . . . both profoundly structured but totally malleable . . . no one is driving this train that and it has no track” (p. 138). These seeming contradictions sum up how we like to cater to binary ideologies and ignore the paradoxes of life. This book was a much easier read than Breakfast of Biodiversity and was easier for me to relate to as well. Both of these books go into political ecology, which I am still trying to wrap my head around fully, but this book was able to use something that most people can relate to, lawns, to explain it. The first thing that grabbed me in this book was the idea that the lawn owns the owner of the lawn. I really like this because it reminds me of a story my Dad tells about how he will not let the expensive bottles of wine own him, to try and treat them like the $25 a bottle bottles that he bought them for. People are investing insane amounts of time and money into their lawns to try and keep up with their neighbors and these expensively pedicured lawns are beginning to own the owners. Now people overlook environmental concerns such as the use of pesticides because all they are interested in is keeping their lawns as pristine as the next door neighbors’. The discussion about the use of chemicals on lawns was another part of this book that I found interesting. I pointed out some of the dangers of DDT in last week’s blog about Breakfast of Biodiversity and this book goes into more of the gory details of how dangerous it is and of how widely it was used for so many years. It was interesting to learn that arsenic had once been used as a pesticide as well and that its use was not questioned by the people using it. At least DDT was a compound that people did not relate with human death as arsenic does. All of this is more evidence of the extremes that people will go to in order to keep their lawns nice and green. I think that lawns are just another example of how crazy we westerners are. I am not sure how big of a deal the idea of the lawn is in Europe but I have been to areas of England that are filled with nice green lawns that are well manicured. I do not think, from my general knowledge, that lawns are as big of a deal there but I am quite sure that a nice, green lawn is the least of people in the 3rd world countries. They would be amazed with all of the money that we spend, ok that we waste, on our lawns. 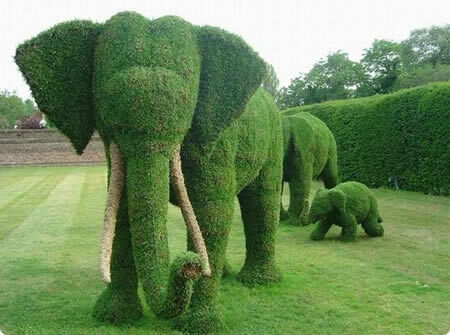 I feel that this is a waste, my lawn will remain mowed but that is all the effort I will ever put into it. Of course I am a lawn person: I grew up in suburban America, am middle class, white, etc. If you grow up in that kind of social and cultural context, and don’t obsess about lawns then there is clearly something wrong with you. 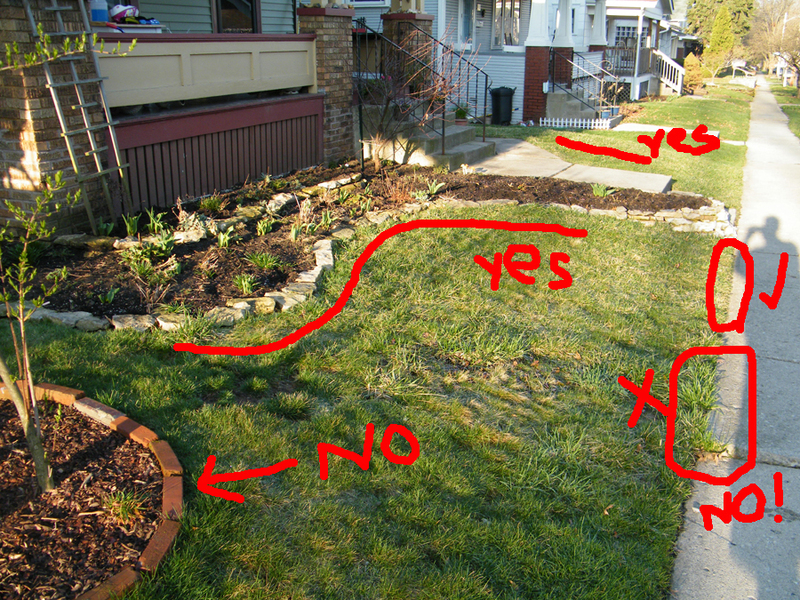 That said, I am fully aware of the Lawn People critique of the lawn. Indeed, I find myself strongly influenced by the most general premise suggested by the book’s title – that “my people” (White, middle-class, suburban, American) are lawn people: lawns exert some kind of agency over me and mine. Indeed I suspect some variety of panpsychism is adequate for grasping this situation – in essence, all matter has some sort of mind, however you may define mind. I arrive at this not via some absurd new age belief (“everything is alive!”) but via simple logic. We have been dealing with dualisms (and their problems) all semester in this class. So there you have it: lawns have some kind of mind and it is somehow responsible for the call we, my people that is, hear and heed. When it comes to grass and humans, who, asks Denis Wood, domesticated who? That said, I am a long-time adherent of many facets of the lawn. I am not necessarily into the chemical induced monoculture (but used to be). From an early age I recall my fascination with our lawn and the lawns around us. The powerful dangerous (sublime?) machinery, the magic powder my dad applied every spring, the tender combing of its snarled locks with rake (metal vs plastic?). I recall how proud I was when I was first allowed to mow the lawn, and happily did it until I left for college. At college I would longlingly watch the guys mowing the lawns with their big mowers. While my greatest interest would be street sweeping (in a Elgin Pelican), mowing lawns on a big machine is certainly in second place. Of particular interest have always been the edges of lawns. At a young age, I believe about 7 or 8, I took to edging the sidewalk with an old kitchen knife I found in the garage. It took me several days of sawing to get the grass cut back from overlapping with the sidewalk, but it was worth it. What a change! What a great look! I asked for a lawn edger, but my dad didn’t think we needed one. So I kept at it with the knife for the next half dozen years, until he finally purchased a manual edger for me. What fun! So our sidewalk is a bit imperfect, but in Columbus you have to arrange and pay for sidewalk upgrades and that isn’t happening soon. Nevertheless, I was out edging a week or so back. Some good results (check marked above) but also some issues. There is this spot, lower left on the photo, where the lawn is sunk down below the level of the sidewalk. Grass grows up and over the sidewalk quickly (note photo above, one week after edging, and the grass is already out of control). Also, grass works its way into the gap between the sidewalk blocks and, as you can see, I forgot to dig the soil and roots out of an area in the lower right corner of the photo. This too is a problem where the front walk meets the sidewalk (a big, soil infested gap where grass cannot resist growing). Beyond that, on the top of the photo, you can also see some good edging results. Here notice my work at edging the grass away from our old cut-stone curbs. These are literally slabs of cut rock, about 5 feet long and 2-3 feet deep. Many have a letter stamped into them with a chisel, and were installed when our neighborhood was subdivided around 1918. 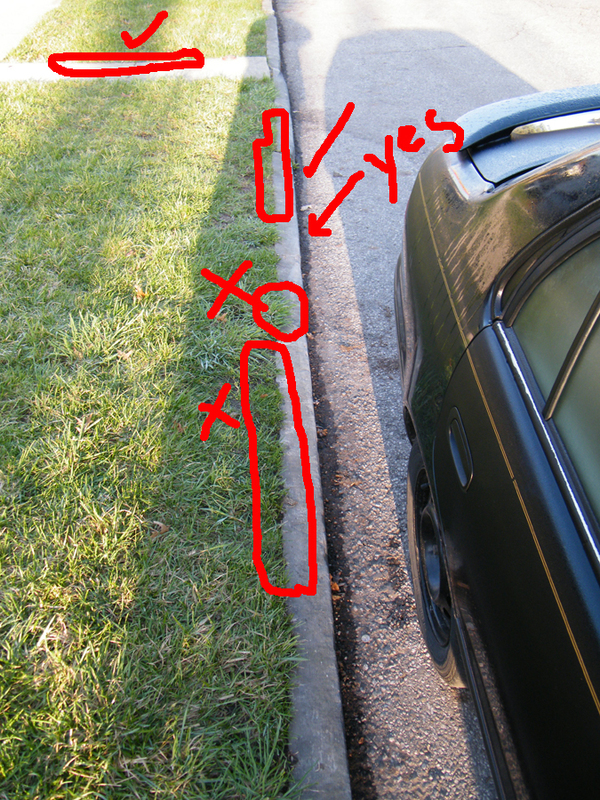 No one, and let me emphasize NO ONE edges grass away from the curbs in our neighborhood. What is wrong with all these people? While edging exposes the cool old curbs, it does also make the imperfections visible, but that is part of their charm. Note above that the grass has started to grow back over the curb already. I think this is because it gets stepped on when we are getting into our cars. Also, as noted by the arrow and the “yes” you will see that I scraped the gutter clean of debris, making, in essence, a parallel edge to the lawn/curb edge. Columbus does not do a good job at street cleaning. There are many good reasons to keep streets clean (for example, all the junk in the street and gutter is kept from going into the sewer system). We get our street cleaned maybe once a year, and since there is no stipulation that cars not park on the street that day, the street sweeping guy mostly just drives up the middle of the street, missing the gutters. Thus our gutters are typically clogged with debris. 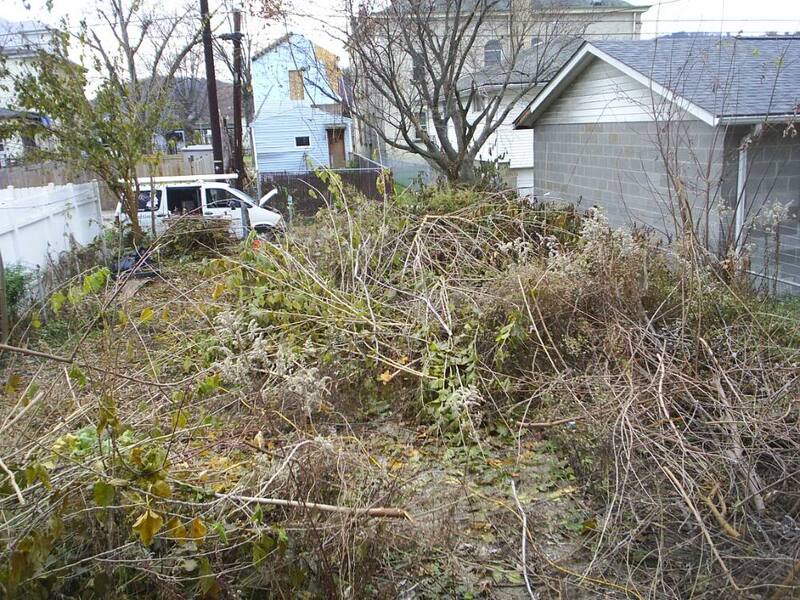 I cleared out a bunch of leaves, some garbage, gravel and even grass starting to grow in the junk (with a worm or two). How can everyone else tolerate clogged up gutters? 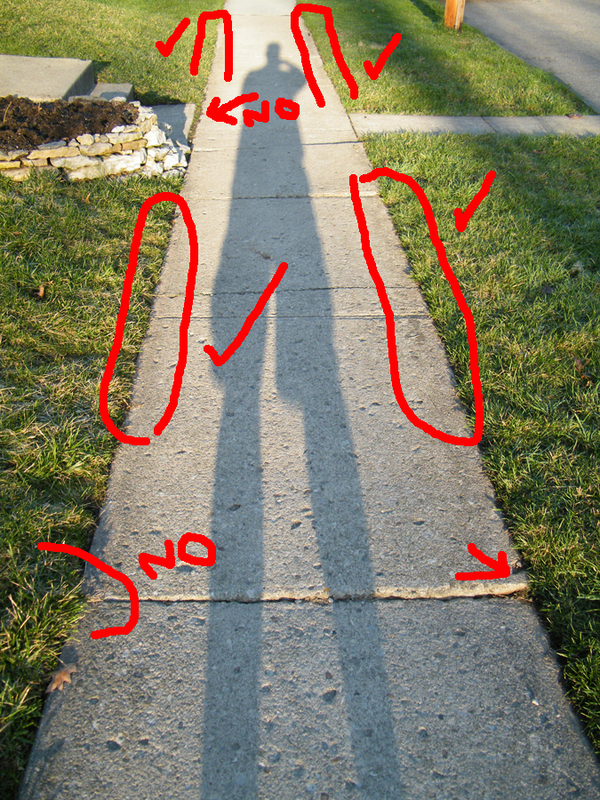 I also find that non-sidewalk edges are important to consider. Here note my low stone edge separating the lawn from the garden. This is built from local limestone and I carefully considered the curve to be both aesthetically pleasing and mathematically precise. It is a bit out of kilter after the winter, and the kids walking on it, but don’t worry, I plan to adjust it back to perfection soon. You DON’T do edges with stupid plastic stuff, or bricks. That is just annoying. Note our neighbor’s work in the lower left of the photo. I must say it horrifies me. The lawn, of course, is nicely defined and pleasingly contrastive here. It is early in the season, and a bit scraggly, but will begin to fill out with all sorts of neat stuff besides the grass – clover, creeping charlie, some deep-red ground cover, and other assorted “weeds” that together make a really nice, durable, drought resistant lawn. I do remove dandelions, but only after they flower. They tend to spread out and kill off other stuff around them. When they die and go away, you are left with a small exposed area of soil. It’s sort of like having your pants zipper down, something you just don’t want everyone to see. Ch.5 Does industry meet or produce demand? These produced chemicals make people nervous, so they create strategies to get around this “chemophobia”, these strategies are central features of the chemical commodity chain. “Pull” strategy- create a perception of a “lawn” as transcending personal value to home, creating a lawn as invaluable piece of neighborhood pride. 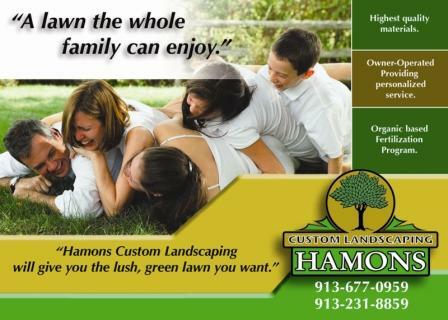 A Lawn is marketed as social and cultural iconic image for a homeowner with neighborhood and family pride. The industries that manufacture, process, and sell inputs for the lawn find themselves under increasing pressure to find and produce to find and produce markets. Global chemical producers, with rising costs and constrained markets, require consumer outlets to move a lot of chemicals under conditions of falling prices. Chemical production is an unintended but logical product of larger forces, consolidations, and negotiations of global industries in the early 21st century. 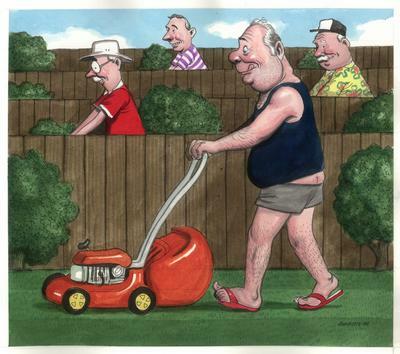 Ch.6 Do Lawn People choose lawns? 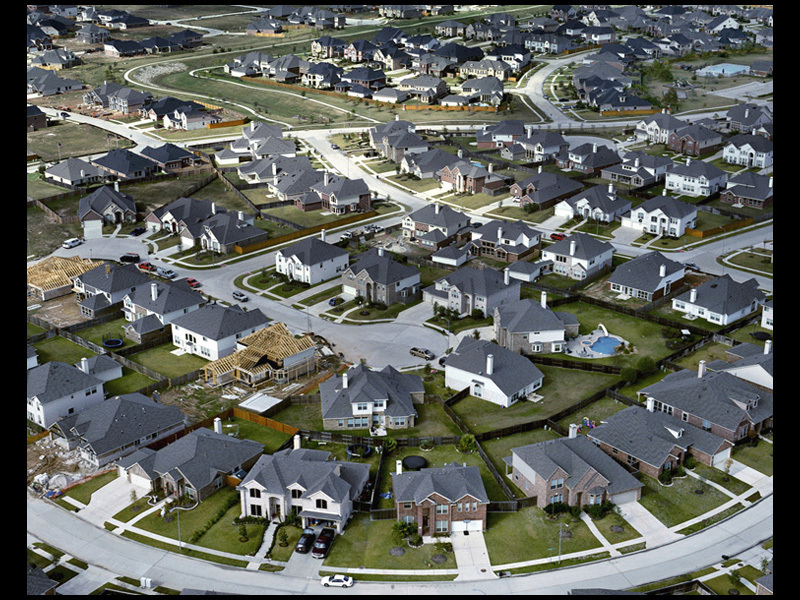 Affluent upper middle class, well educated, white suburban neighborhood in the Midwest. Ch.7 Can lawn people choose Alternatives? Increasing competition, rising costs, falling revenues, debt and consolidation – these conditions require increased access and sales to consumers. Lawns are now becoming more than a desirable household item, now invaluable pieces to a community and to a wholesome family atmosphere. You are currently browsing the Environmental Geography blog archives for March, 2010.